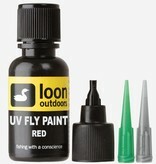 UV Fly Paint is the perfect way to instantly add bold or subtle details to a fly, or to change the color all together. The UV cure gives the freedom to make changes on the water, as the paint cures in seconds when exposed to direct sunlight or Loon''s UV lamps. 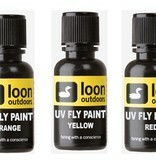 Apply Fly Paint to fly while indoors or shaded from the sun. Use applicator, bodkin and/or rotating vise to form into the ideal shape. Expose to sun light or use Loon''s UV Mini Lamp or UV Power Light to cure. 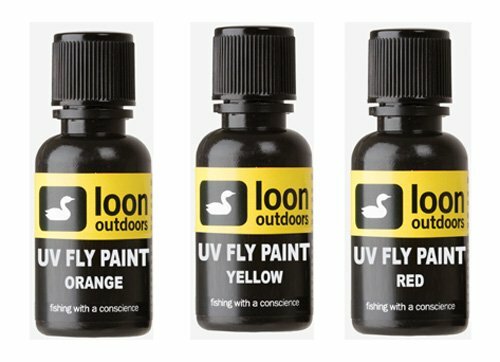 In direct sun (or when using Loon''s UV Lights) hardening should take approximately 15 seconds.